The SR PARGPS worked with the legacy PARxCH family of A/D systems and is now a legacy product. 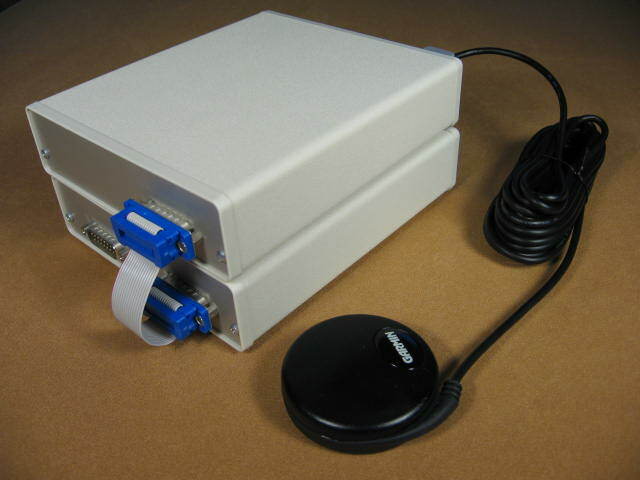 For GPS time stamping data from our USBxCH data acquisition systems, see the USBGPS. The USBGPS is recommend for new designs. The PARGPS provides accurate time stamping for data acquired with the SR PAR1CH, PAR4CH, or PAR8CH 24 bit A/D boards. The system typically provides a timing accuracy of 10 microsecond (usec) when used with the PAR1CH or PAR4CH and 800 nanosecond (ns) when used with the PAR8CH. The PARGPS sits outside the PC and stacks with the PARxCH (x=1,4,8). The PARGPS board provides both time and location data on an ongoing real time basis as analog data is acquired. It uses the industry standard RS232 NMEA messages for location and coarse timing, and the highly accurate pulse per second (PPS) signal for precision time. The NMEA messages are connected to the PC by a standard DB9 serial port cable to COM1 or COM2. The PPS signal is fed directly to the digital I/O connector of the PARxCH for processing by the A/D system. Included with the system is full software support for Win2K/XP and Linux. The PARxCH acquisition and display programs such as scope and simp have been upgraded for GPS support, along with a new DAT file format for storing acquired data along with ongoing time and location information. Additional utilities are included for various operations with the time information. For developing custom applications, low level functions that control the PARGPS are supplied as static, DLL or shared libraries drivers. Full source code is included and the PDF user manual contains circuit diagrams. The PARGPS comes with all the accessories you need to start time stamping acquired data. These include software, manual (PDF), mini-mag antenna, 6' serial port cable, PARxCH digital I/O cable, PARxCH daisy chain power cable, and desktop enclosure. For more detailed specifications, please see the User Manual. These documents represent the complete specs for this product. They can also be found on our Downloads page. Some users may want to consider these options, although none are necessary as the PARGPS will work fine in its standard configuration. 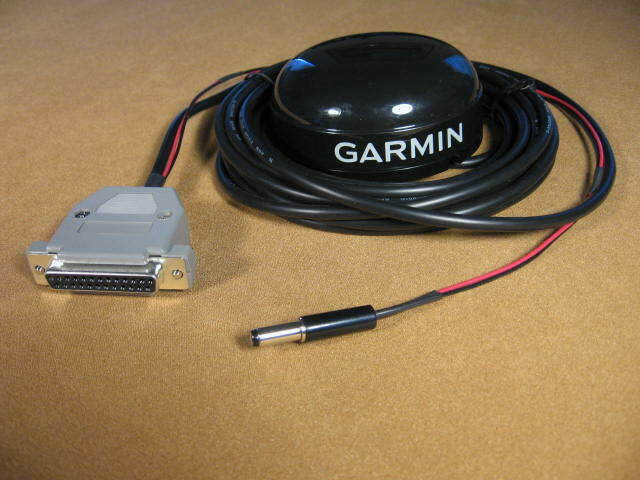 A Garmin GPS 18x LVC antenna terminated to a 9 pin D-shell for use with the PARGPS. Puck has integrated mag mount. 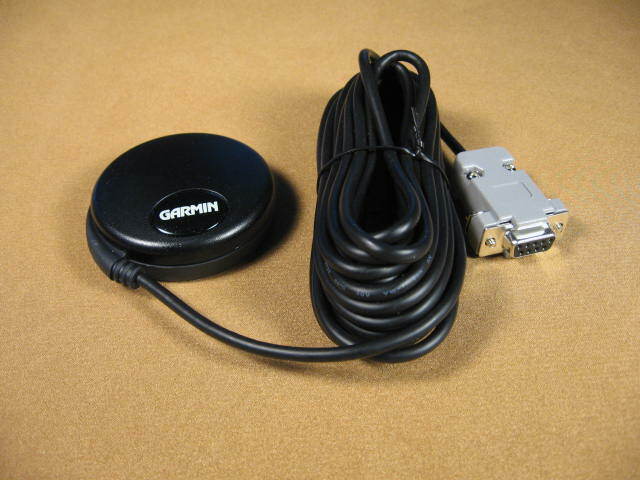 A PARGPS-GPS-DB09 is included with every PARGPS order. 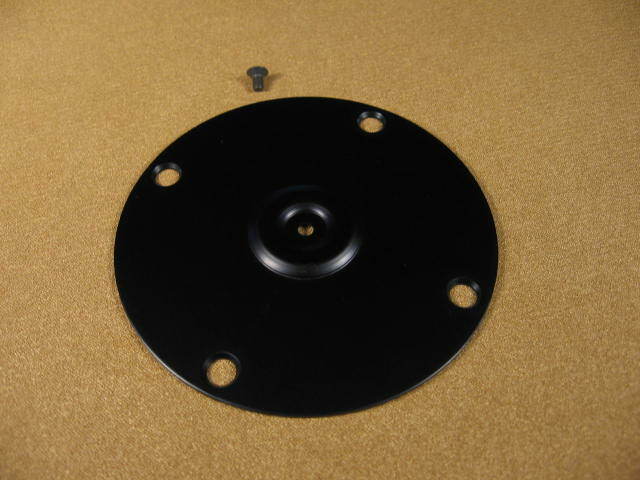 This flange mount is for use with the Garmin GPS 18 LVC antenna. Allows for easy fastening to drillable surfaces.